Sodium /sodim/ is a chemical element with symbol Na and atomic number 11. It is a soft, silver-white, highly reactive metal. Our company is engaged in the supply and the import of a wide range of chemicals and solvents such as the SODIUM METAL which are pure and they comprise of an accurate composition. Sodium is a chemical element with symbol Na and atomic number 11. 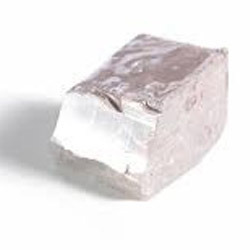 It is a soft, silvery-white, highly reactive metal. Leveraging on our enormous business competency and huge info of this field, we have brought forth a vast gamut of Sodium Metal. Organization is acknowledged in the domain as one of the leading suppliers of Sodium Metal. Backed with well qualified and experienced team members we offered an exclusive range of Sodium metal. This is made using the Eco-Friendly material in accordance with the latest technology. These products are manufactured especially as per the specifications detailed by our clients. Our clients can avail these products at the pocket-friendly price from us.